As my focus on books intensifies, it made sense to split this site into two. So now you have a choice. Wherever your interests take you, welcome to my work in progress! Enjoy your visit. As a long-time Amazon customer, from the days when it was all about the books, my purchases have been facilitated by other people's reviews. I started posting my own reviews to return the favour. This site is the logical extension of my reviewing efforts and includes items not available from Amazon. Readers of my blog know that I have some firm favourites when it comes to skin care. These innovative brands feature mostly natural ingredients, no noxious chemical additives, and are all, without exception, NOT tested on animals. They are also effective high-performers at a refreshingly affordable price. Among these stellar performers are the sister brands Belle Azul, Simon & Tom, and Yoffee, manufactured in Barcelona, Spain, and I was recently reminded that making wonderful products means little without a responsive after-sale policy. There was an issue with my latest order of face creams from Beauty Solutions SL, the Amazon distributor of the above brands, and I contacted them with my complaint. Just to be clear, it was nothing to do with the quality of the products. I received a personalized reply from their managing director, Tom Farkas (one half of the Simon & Tom moniker) and, in due course, replacement products which more than validated my faith in the company and its customer support. So, this is just to say that, based on my recent experience, I know I can shop with confidence for these three brands. Should you ever encounter a problem with an order, it's good to know that Beauty Solutions will deal with it appropriately. Nowadays, we are all very quick to criticize but, in this case, I am happy to share my very satisfactory experience. Well done, Tom Farkas! 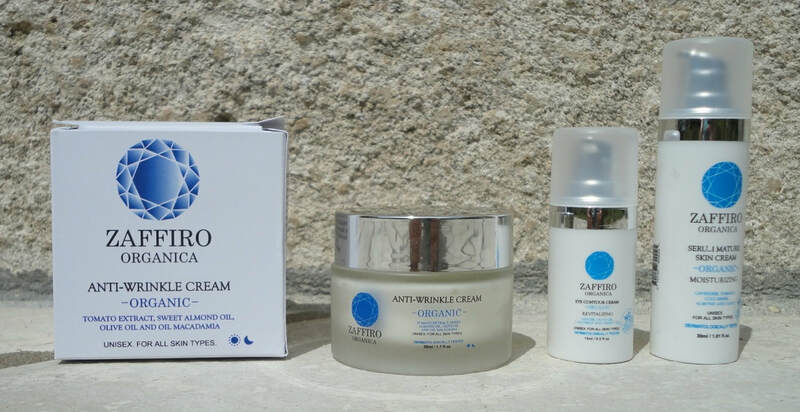 This innovative, almost pharmaceutical-grade skin care brand is of Italian inspiration and made in Spain. The brand has everything I love about skin care. It's made from all-natural ingredients with an abundance of essential oils, without the noxious ones (no sulphates, parabens, petrolatum, phthalates or artificial colourants). It's cruelty-free and not tested on animals. Full review of my latest tests on the Spotlight Page. Almost all the photos can be enlarged by clicking on them, and they are mostly my own work. In a few cases, my photo was so poor that it seemed fairer to display the official product image. If you, as the owner of the photo, have any objection to this, please let me know and I will promptly remove the photo in question. A Maze of Reviews is a participant in the Amazon Services LLC Associates Program, an affiliate advertising program designed to provide a means for us to earn fees by linking to Amazon.com and affiliated sites. It makes no difference to you, but if you buy something on Amazon from one of the links in this site, A Maze of Reviews receives a small contribution towards the running costs of my reviewing activities. Thank you for your consideration.